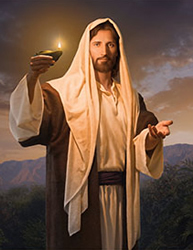 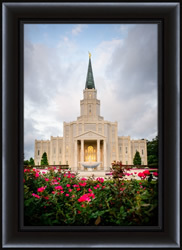 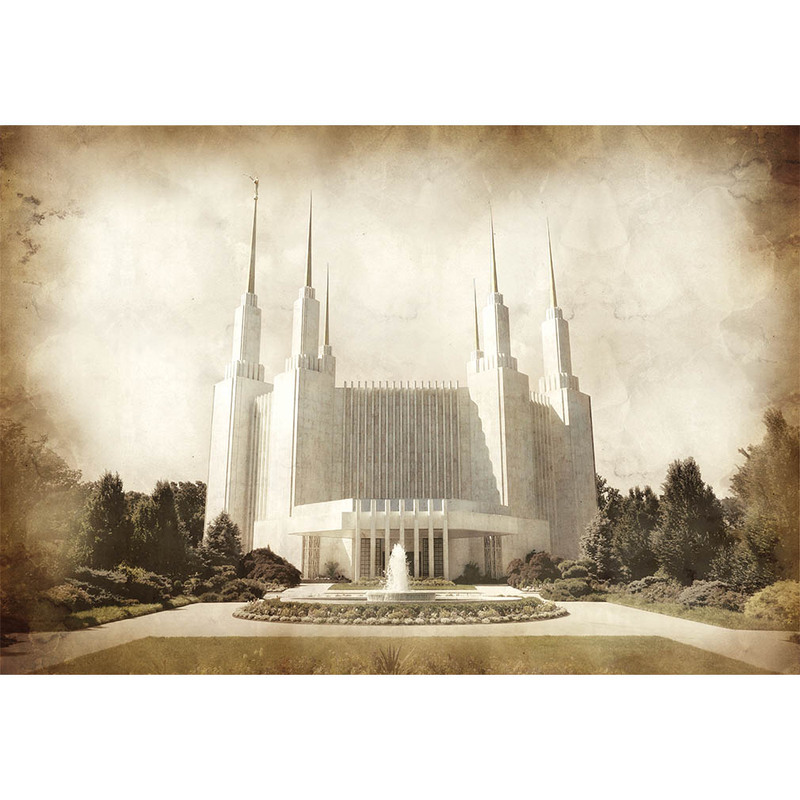 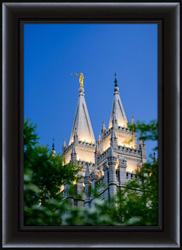 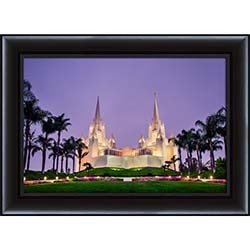 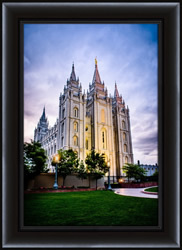 These beautiful LDS temple photographs by photographer Scott Jarvie will bring the spirit into any room of your home or office. 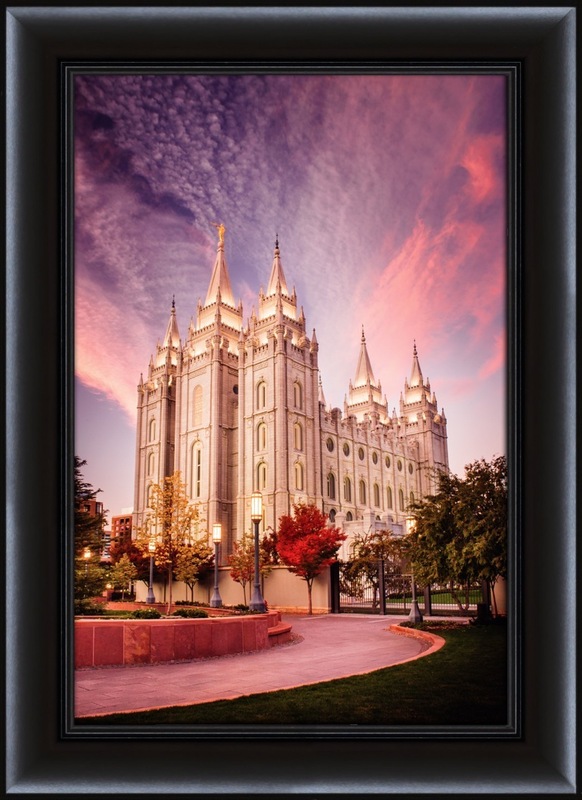 Produced and framed in the USA, these quality art pieces are printed on gallery-quality canvas and mounted to a high-density, foam-core board. 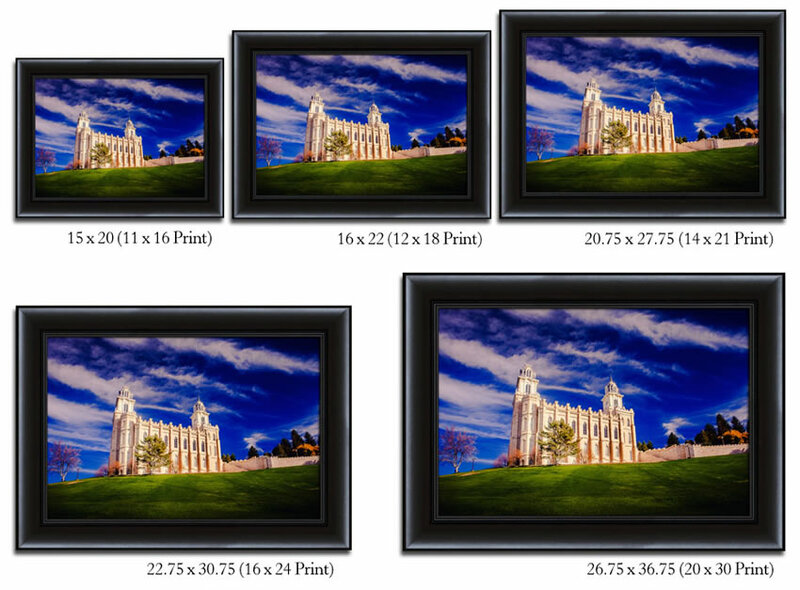 These framed art pieces are perfect for a wedding, anniversary, sealing, or temple worker gift. 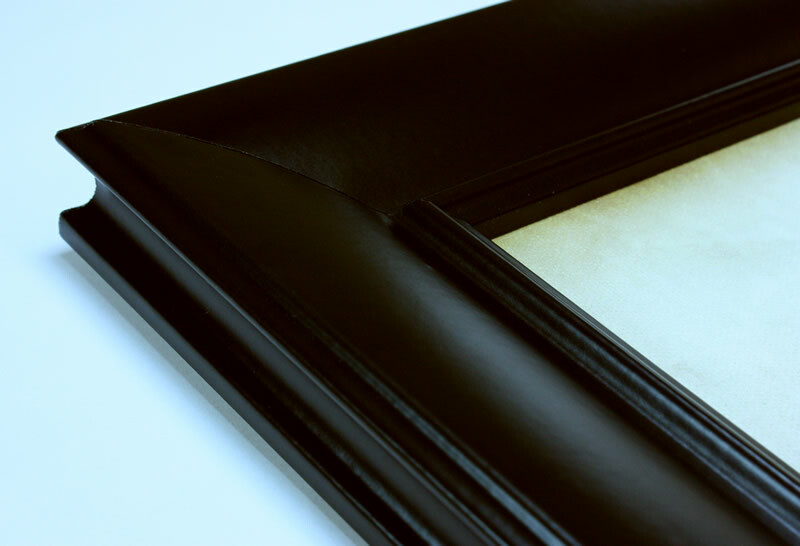 Framing Options: Our frames are available in 3 different finishes, making it easy for you to match the color scheme in your home. 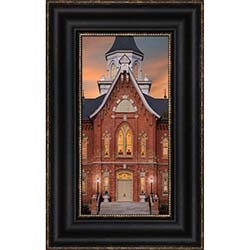 Frame finishes include: black satin, espresso walnut, and Pavarotti vintage. 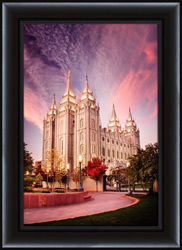 To view our frame options, click here.